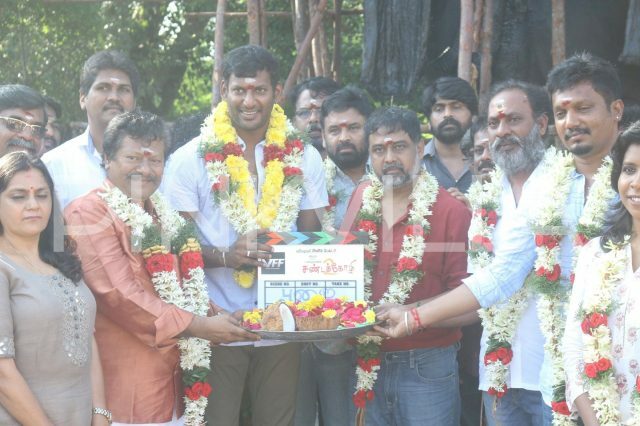 The music of Sandakozhi 2 will be composed by Yuvan Shankar Raja who had composed music for the first part too. Actor, producer and TFPC President Vishal seems to be in no mood to leave any gap between his movies and wants himself to keep occupied. The actor had a release just a week ago in Thupparivaalan which was directed by Mysskin and has been receiving great reviews since hitting the screens. 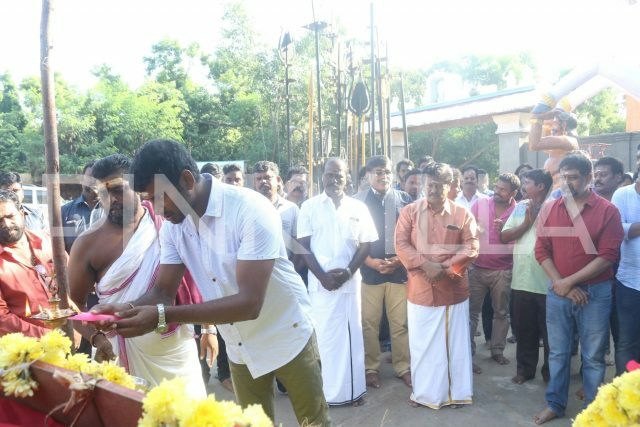 Lead actor Vishal and director Mysskin are being lauded for their attempt to do a different genre film and the collections of the film the box office too look pleasing to the makers. 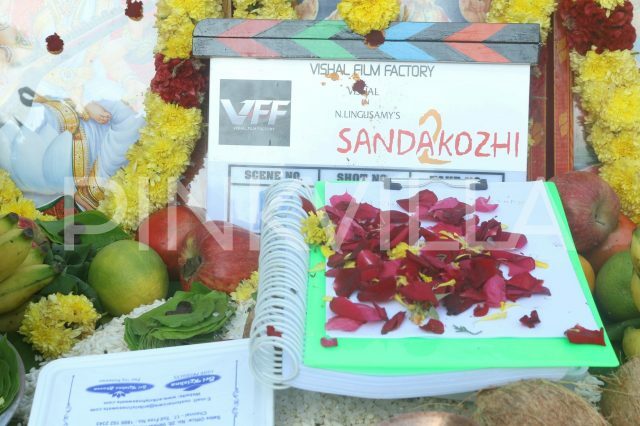 And to keep the ball rolling, Vishal started shooting for Sandakozhi 2, a sequel to his 2005 release Sandakozhi, which will also be directed by Linguswamy. 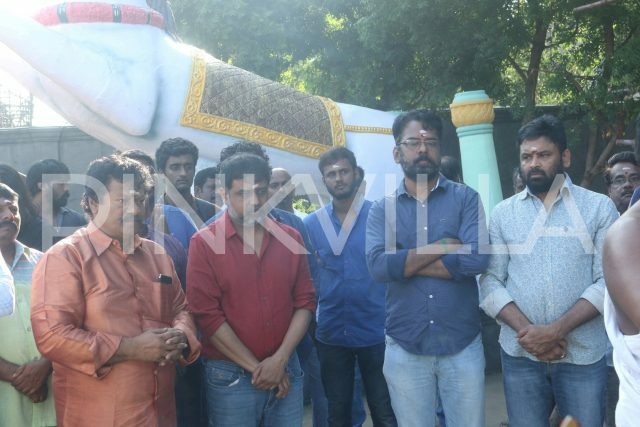 Sandakozhi 2 was officially launched today in Chennai and most of the cast and crew attending the launch. 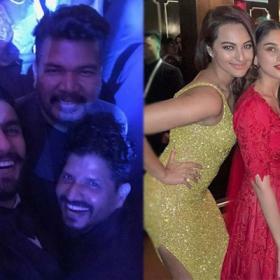 Vishal, director Linguswamy and many others were present at the set which was built for a song between Keerthy Suresh and Vishal and would have a festive mood to it. Besides Kerthy Suresh, Sandakozhi 2 will also star Meera Jasmine and Varalaxmi Sarathkumar in other lead roles. 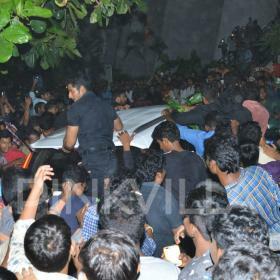 The film is being produced by himself under the banner Vishal Film Factory. 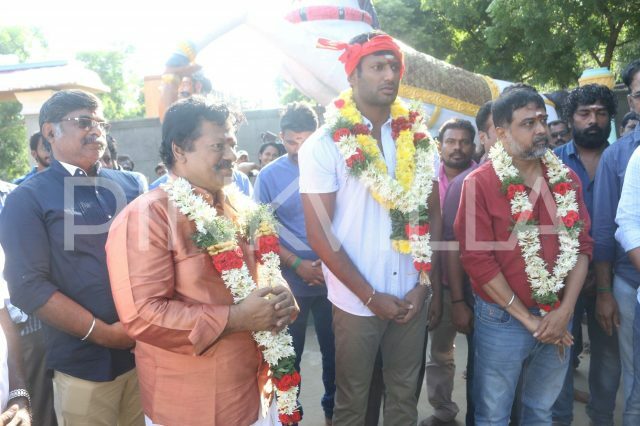 The music of Sandakozhi 2 will be composed by Yuvan Shankar Raja who had composed music for the first part too. 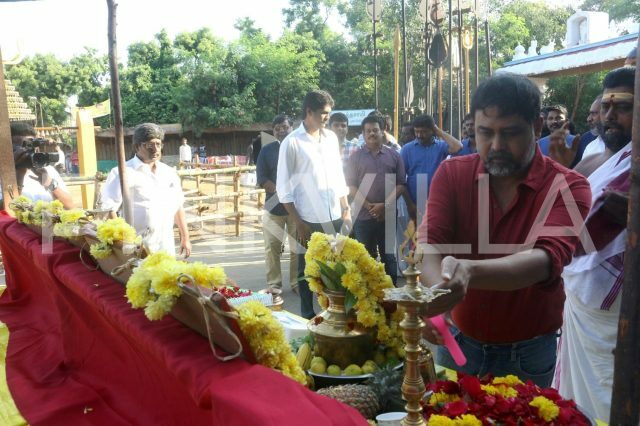 Raj Kiran, who played an important role in the first part, will be seen reprising his role in the sequel too.